Although the term Digital Twin was first established in 2002, elements of the technology have in fact been around for quite some time. It’s the growth in IoT (Internet of Things) technology in recent years that has brought Digital Twin to the fore, and enabled businesses to appreciate the value in building digital representations of their physical environments – whether it’s objects, systems or scenarios. 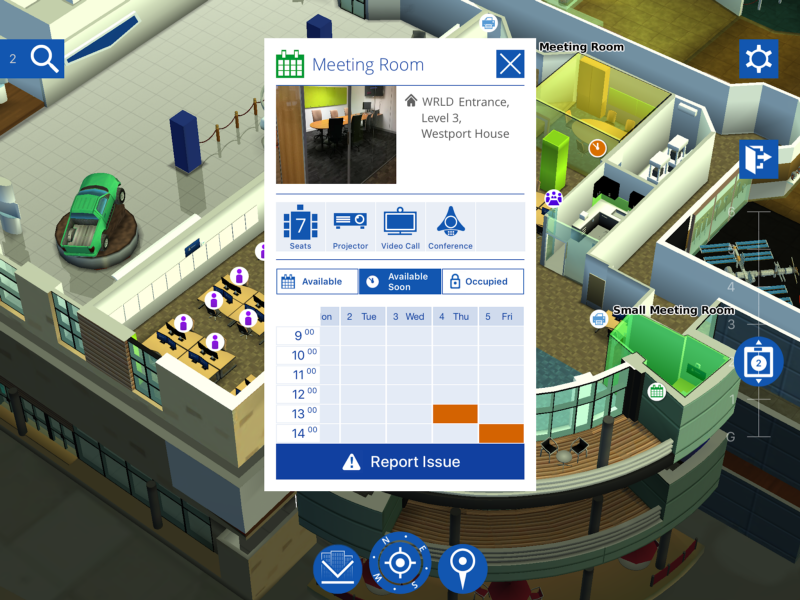 The result is a tool that will not only enable the company to work smarter, when it comes to people and resources, but will also deliver a truly engaging, personalised experience for employees and visitors, and we look forward to seeing how they benefit from interacting with a digital office application. So, How Will Other Business Benefit from Digital Twin Tech? A digital twin can eliminate the risk involved with many decisions due to the data driven nature of the technology. Using data from sensors installed on physical objects it can provide real time information on the object, system or service, including position, performance and working condition. The digital twin acts as an intuitive interface into physical spaces and systems, providing real-time information, data contextualisation and a better overview to create actionable insights. An example of this is the use of location data to better inform decisions - for the marketing function and beyond. Businesses are increasingly analysing location based data to better understand how their customers and employees etc. engage with the brand. A 3D map is an intuitive way to visualise location data, to create insights that could potentially impact the physical world, i.e. where are my employees spending most of their time, and is there an opportunity for me to capture their attention while they are there? Another example is IoT data. In recent years we’ve heard a lot about the positive impact that IoT can have on a business, but a challenge we see time and again is how to truly utilise the IoT data generated within the organisation, to develop insights and make informed decisions. Using 3D mapping technology to create a digital twin, businesses can easily integrate separate structured data, APIs and various other system integrations such as indoor positioning, to increase the functionality of the digital twin. The result is a complete picture of their organisation by visualising IoT data with geospatial context. This means that data (whether it’s IoT, organisational or product focused) can play a role in the decision making process. 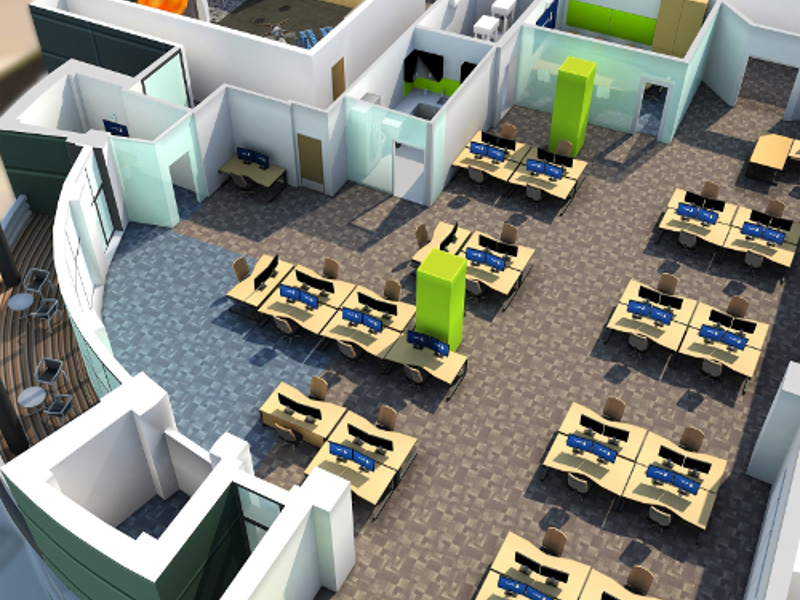 A digital twin office is the office of the future, and employers that recognise that early on will attract top talent. A digital office can unlock added value by incorporating features that enable staff and visitors to interact with the building, improving staff productivity and ultimately satisfaction. WRLD cloud-based workplace maps allow for multiple views for different users so that visitors, managers, employees and facilities teams have access to a personalised dashboard that is relevant for them. How easy would it be if you could locate your colleagues and choose your hot desk before you’ve got to work? Or consider the convenience of booking an available meeting space and directing a visitor to your location through an interactive 3D map on your phone. In some cases, a digital twin can act as a sandbox for real world consequences, by facilitating simulations that could result in improvements in the real world. This means businesses can build an environment, product or scenario and run test simulations in order to identify areas of improvement, anticipate failures and in some instances provide insight that could stop a product or service going to market. Through this intense R&D approach, businesses could save significant sums of money and can feel confident that their finished product or service meets their desired expectations. There is plenty to get excited about in the new age of IoT and digital twin technology, urging businesses and developers to rethink the cities, businesses, and public spaces of tomorrow. Being able to view and interact with these spaces in virtual and augmented reality, we’ll be able to engage with our world in unprecedented ways. We’ve seen some extraordinary use cases develop out of using our 3D maps technology and with it some beautiful and realistic renderings of our world, and we’ve only just begun to unravel the possibilities. A sneak peak inside the new Bloomberg HQ is featured on the Evening Standard.